The Certificate in Advanced English (CAE), is an in-depth assessment of English for people who want to use English in demanding work and study. Cambridge English: Advanced (CAE) is a thorough test of all areas of language ability. 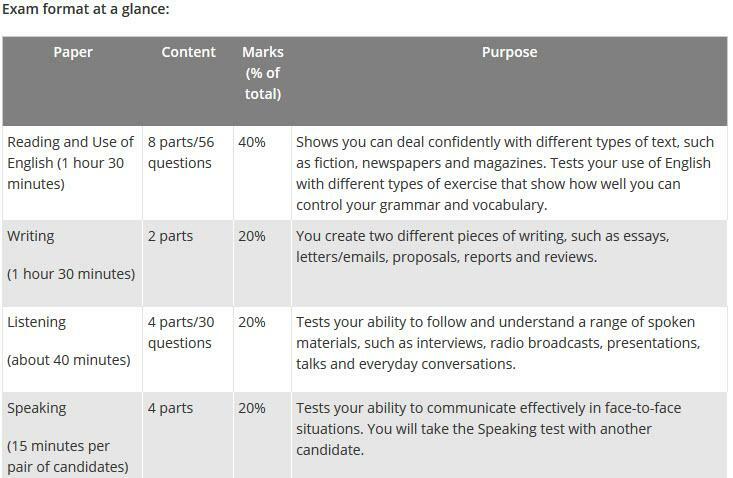 The format of the exam divides into five papers: Reading, Writing, Use of English, Listening and Speaking. The Speaking test is taken face-to-face, with two candidates and two examiners. This creates a more realistic and reliable measure of your ability to use English to communicate. CAE RESULT - ADVANCED ENGLISH ONLINE PRACTICE. A continuación te presentamos dos de los recursos más eficaces para practicar el examen CAE. La experiencia nos dice que de entre las decenas de productos para la preparación para el examen CAE que existen, estos dos productos son de los mejores , de los más utilizados y dan resultados excelentes. Asegúrate el aprobado por menos de 32 euros. Cambridge Grammar for CAE and Proficiency with Answers and 2 Audio CDs. Cambridge Grammar for CAE and Proficiency provides coverage of the grammar needed for both CAE and Proficiency with plenty of exam practice at the same time. Grammar is presented in a listening context giving students the chance to hear it being used in realistic situations and making it easier to remember. It includes the full range of exam tasks from the Reading, Writing and Listening papers and shows how grammar knowledge is tested in each of these. Informed by the Cambridge Learner Corpus, grammar is presented in genuine contexts and the book covers the errors students really make. The most important things you need to know to help you prepare for the C1-Level Certificate in Advanced English (CAE) exam The Official Top Tips for CAE gives you essential advice for each part of each of the CAE exam. It is written by Cambridge ESOL examiners with many years' experience of setting and marking the CAE exam and includes clear examples and explanations to show you exactly what each tip means, general tips for each paper and sections on how to revise and what to do on the day of the exam. The CD-ROM contains a complete, authentic CAE exam paper so that you know what to expect when you take the exam. The Official Top Tips for CAE gives you essential advice for each part of each of the CAE exam. It is written by Cambridge ESOL examiners with many years' experience of setting and marking the CAE exam and includes clear examples and explanations to show you exactly what each tip means, general tips for each paper and sections on how to revise and what to do on the day of the exam. The CD-ROM contains a complete, authentic CAE exam paper so that you know what to expect when you take the exam.